John MacArthur’s Regeneration Camp is held each summer during the Druid festival of Lugnasadh. 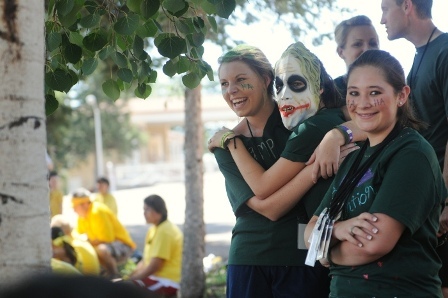 Parents and churches from all over the United States send their adolescent children to Camp Regen. There the young people may be hearing sermons about holiness and separation from the world, but they are also learning and practicing the customs of the heathen. Regeneration Camp games and activities look like harmless fun but they have a most sinister source—the Druid fire festivals of Great Britain. Regen campers may be having fun now, but they are unwittingly traveling a dangerous path on the road to destruction. How must God view the spectacle of Christian youth playing “funeral games” on the pagan feast of Lughnasadh––with their faces painted and bodies tattooed, making war cries and playing tug of war around a sacrificed pig’s head, slogging in the mud like swine and displaying the spirit of revelry at pagan rock concerts, etc.? 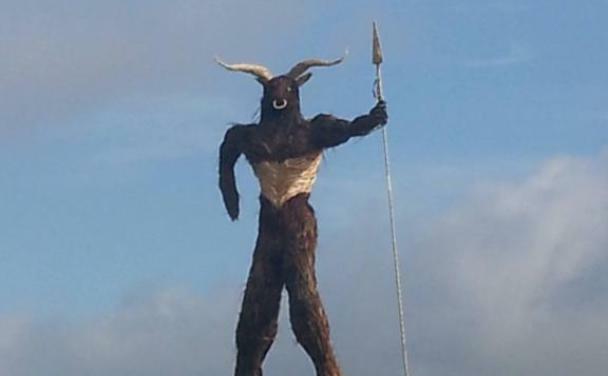 The ultimate funeral game and high point of the Druid festivals, however, is the burning of the Wicker Man, and there were even vestiges of this abomination at the Regeneration and Forest Home youth camps. 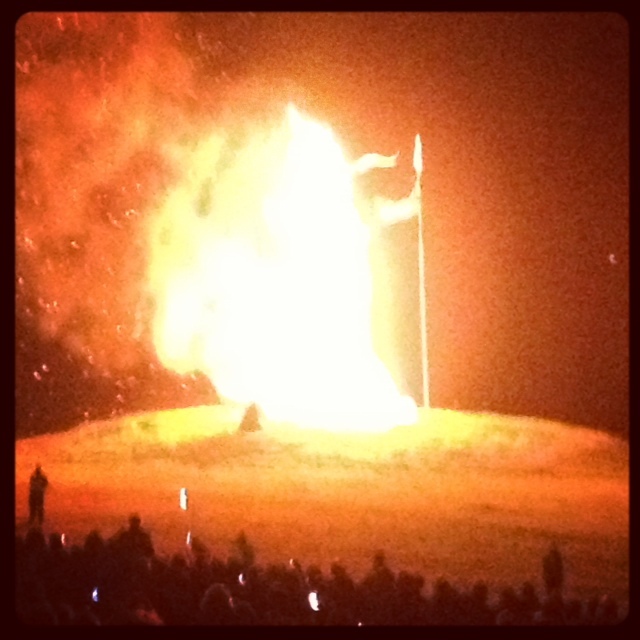 According to the Beltane Fire Society, “Our previous Lughnasadh celebrations have often included burning a wicker man, vegan feast, lamb or pig spit-roast, games and challenges, community-focused ritual, usually finished off with some drumming and dancing around a big bonfire.” (beltane.org) In pre-Christian Britain, and even later, a sacrifice was made by fire of one or more human victims in a giant wicker cage made in the image of a giant, that is a Nephilim. 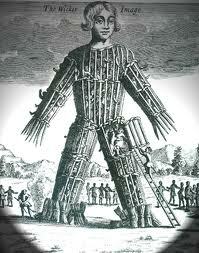 Today there are popular Wicker Man festivals in the British Isles on the Druid feasts. 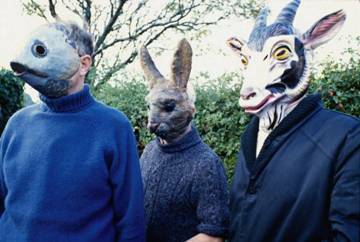 Several Wicker Man festivals were held in the weeks preceding the 2012 London Olympics, which occurred during the Festival of Lughnasadh. 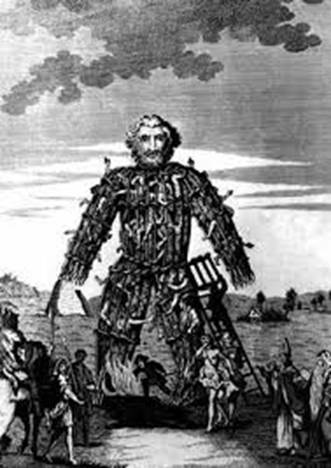 For example, a major Wicker Man festival was held in Scotland the week prior to the Olympics and various Wicker Man festivities were held in England and Ireland during the month of July. 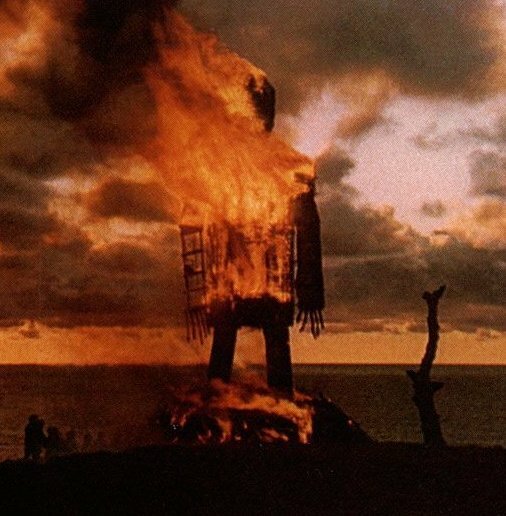 Although the horrific Wicker Man sacrifice is alleged to no longer be performed, its memory has been revived and popularized in modern times by film industry––the 1967 British novel, Ritual, the 1973 British horror film, The Wicker Man and more recently in the U.S. with yet another Wicker Man film in 2006 starring Nicholas Cage. 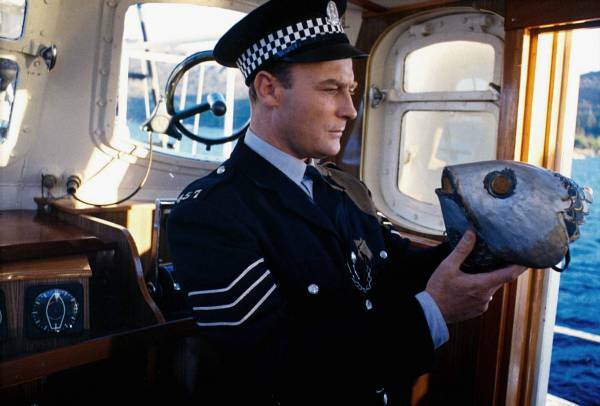 The 1973 version of the film was released in British theaters on July 27, 2012, the date of the Olympics Opening, and a scene from the Wicker Man film was shown as part of the ceremony. Exactly one year to the day later, on July 27, 2013, an edited version of the film was released in the U.S. The “Core Values” of Forest Home require, not Bible study, but innovative, revolutionary thinking: “Dream Big,” “Think outside the box,” and “Dream, plan and execute new ideas.” This is the transformational, New Age language of the church growth movement which is transforming churches into centers of pagan worship. This is being done by subtly introducing elements of pagan worship to church programs for children through adults. Forest Home’s High School Summer Camp 2013 was titled “Woven,” a term referring to Celtic knots, a woven art style peculiar to the Celts. 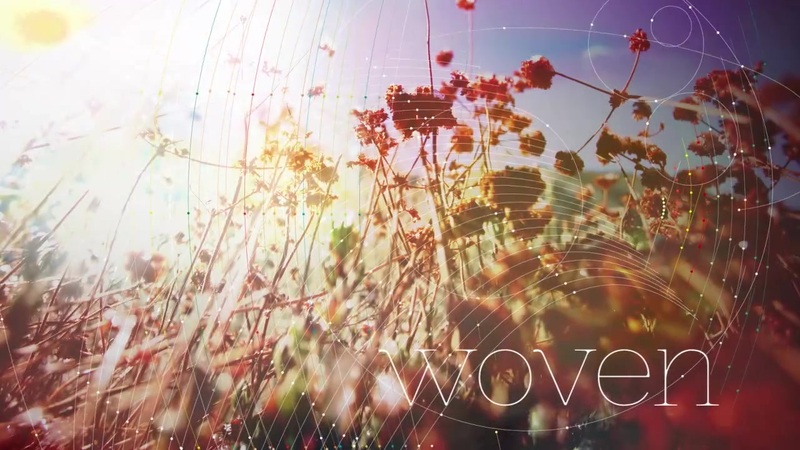 “Woven” may also be a subtle allusion to the Wicker Man which is peculiarly Celtic. 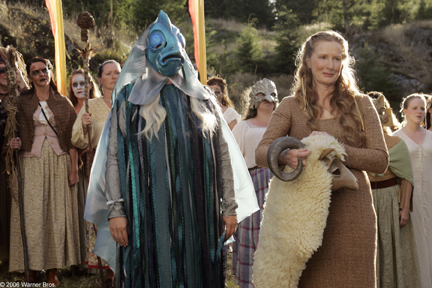 Subtle allusions to pagan concepts are cleverly embedded in Forest Home and Regeneration Camp photos and promos. “Rites of Spring 1982: a circle of witches gathers at twilight in a familiar clearing in the southern New Hampshire woods. They come deliberately in four lines from the cardinal directions singing their invocations to the beat of a lone drum. Only moments before, the members of each line had formed their own circle, chanting together and calling the energy and power of one direction, one element, to be with them. Now, wearing colored ribbons (yellow for air, red for fire, blue for water, and green for earth) the four lines merge in a circle surrounding a human-like figure woven of reeds and grasses that stands at the center. 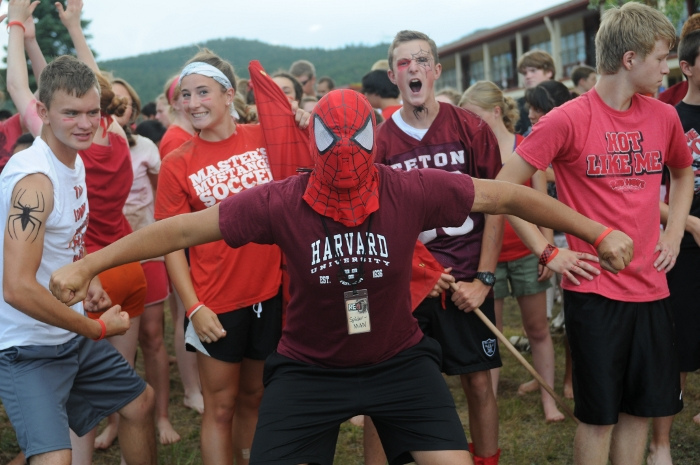 At Forest Home’s High School Summer Camp 2013, a boy covered with mud, leaves and branches represents the spirit of vegetation. 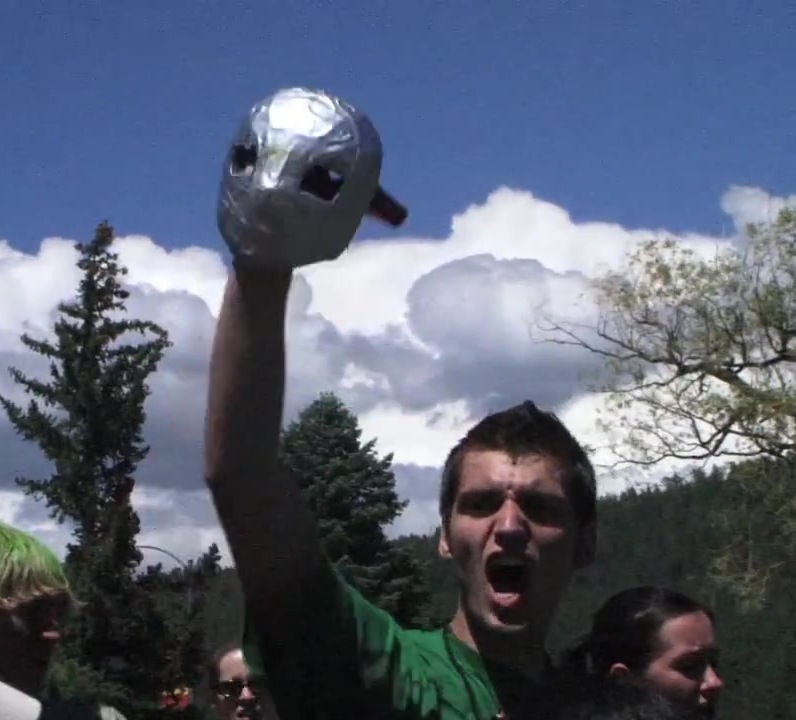 Youth at Forest Home Camp are “connecting with the earth,” not to God, by learning the customs of the heathen. “In some parts of Bavaria, also, the boys who go from house to house collecting fuel for the midsummer bonfire envelop one of their number from head to foot in green branches of firs, and lead him by a rope through the whole village. At Moosheim, in Würtemberg, the festival of St. John’s Day Fire usually lasted for fourteen days, ending on the second Sunday after Midsummer Day. 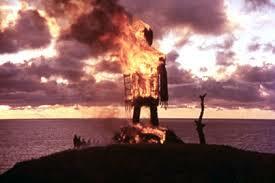 On this last day the bonfire was left in charge of the children, while the older people retired to a wood. Here they encased a young fellow in leaves and twigs, who, thus disguised, went to the fire, scattered it, and trod it out. All the people present fled at the sight of him. But it seems possible to go farther than this. “The earliest description of these sacrifices is by Julius Caesar. As conqueror of the hitherto independent Celts of Gaul, Caesar had ample opportunity of observing the national Celtic religion and manners, while these were still fresh and crisp from the native mint and had not yet been fused in the melting-pot of Roman civilisation. With his own notes Caesar appears to have incorporated the observations of a Greek explorer, by name Posidonius, who travelled in Gaul about fifty years before Caesar carried the Roman arms to the English Channel. The Greek geographer Strabo and the historian Diodorus seem also to have derived their descriptions of the Celtic sacrifices from the work of Posidonius, but independently of each other and of Caesar, for each of the three derivative accounts contains some details which are not to be found in either of the others. By combining them, therefore, we can restore the original account of Posidonius with some certainty, and thus obtain a picture of the sacrifices offered by the Celts of Gaul at the close of the second century b.c. In the year 2000, a British heavy metal band, the Iron Maiden, released an album titled Brave New World which included a song about “The Wicker Man.” Inspired by the 1973 British film Wicker Man and the legend of King Arthur, the lyrics of “The Wicker Man” take up the theme of Tennyson’s poem, “Morte D’Arthur”––The Once and Future King. The lyrics reveal that the fiery Wickerman sacrifice of human beings is an invocation of the dead Celtic kings, King Arthur and his Druid Knights, who await their return to rule the world. ...and the moon was full. Shrill, chill, with flakes of foam. The protagonists of Celtic myth often transformed themselves into animals. The interest in magical transformation among the Celts may be rooted in a feeling for the fluidity of the cosmos-the malleability of the boundaries between this world and the next. Movement between the mortal world and the Otherworld was thought to take place at certain special times of year. In Irish myth, the hero Oengus assumed the form of a swan to follow his lover into the Otherworld on the feast of Samhain, when the barriers between the two realms were at their most fluid. 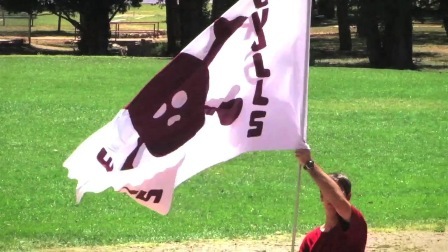 A banner of the Masonic Skull & Crossbones was flown high at the 2013 Regeneration Camp. The Skull & Crossbones is prominent in Scotland where Scottish Rite Freemasonry was instituted before it was exported around the world. 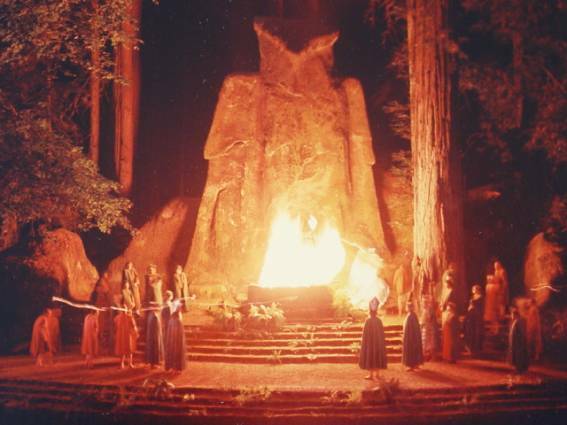 In other words, the Druidic Sabbat festivals have their origin in the pagan rites of the apostate tribes of Israel, who worshipped Baal and Molech, the good and bad powers of the Sun-god, who are devils that require human sacrifice. All eight of the Druid sabbats are paganized Jewish Sabbaths during which fire festivals are held in honor of the Sun god. 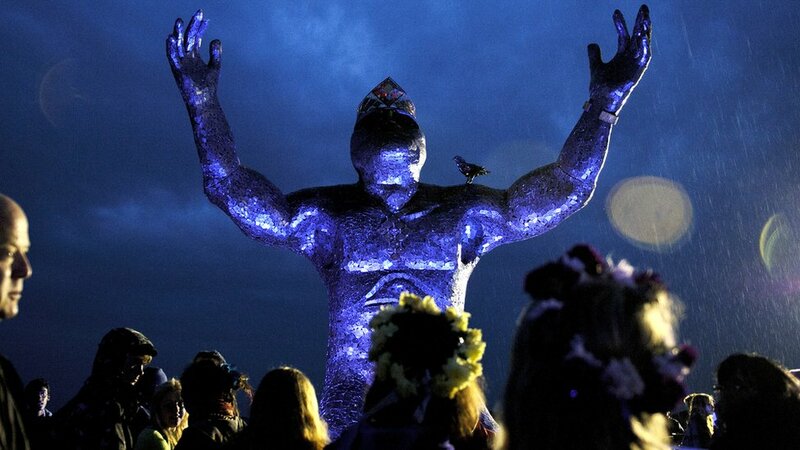 Beltane is the Druidic feast of Bel or Baal, who is believed to rise from the underworld on that day. “The Babylonian trinity was composed of Idea, Anu, and Bel. Bel represented the sun, and was the favorite god. Sin was the goddess of the moon. The Phœnicians were also sun-worshippers. The sun was represented by Baal-Samin, the great god, the god of light and the heavens, the creator and rejuvenator. Why did the Israelites sell their birthright for this mess of pagan pottage? Unger’s Bible Dictionary discovers the reason: pagan rituals were licentious orgies and apostate Israel loved the carnal pleasures of sin rather than the spiritual beauty of holiness. 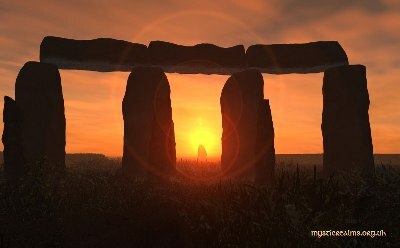 “In mid-June every year thousands of people travel to ancient religious sites, such as Stonehenge and Avebury in England, in order to see the sun rising on the first morning of summer. The Summer Solstice is also known as Litha and is an important festival day for many modern pagans... For some pagans the Summer Solstice marks the marriage of the God and Goddess, they see their union as the force that creates the harvest’s fruits. “And it came to pass, when men began to multiply on the face of the earth, and daughters were born unto them, That the sons of God saw the daughters of men that they were fair; and they took them wives of all which they chose. And the LORD said, My spirit shall not always strive with man, for that he also is flesh: yet his days shall be an hundred and twenty years. “giants. Heb. nephilim. Those mentioned in Gen, 6:4 were all destroyed in the Flood; these came from a second irruption of fallen angels, ‘after that’: i. e. after ‘those days’ = the days of Noah. See Genesis 6:4, and Appendix 23 and 25. See note on Numbers 13:22. 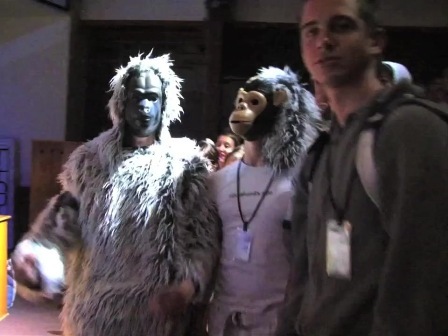 “‘THE SONS OF GOD’ IN GENESIS 6:2, 6:4. “This is why angels are called ‘sons of God’ in every other place where the expression is used in the Old Testament. Job 1:6; 2:1; 38:7. Ps. 29:1; 89:6. Dan 3:25 (no art.). (*2) We have no authority or right to take the expression in Gen 6:2,4 in any other sense. Moreover, in Gen 6:2 the Septuagint renders it ‘angels’. Angels are called ‘spirits’ (Ps 104:4. Heb 1:7,14), for spirits are created by God. “That there was a fall of the angels is certain from Jude 1:6. “The nature of their fall is clearly stated in the same verse. They left their own οικητηριον / oiketerion. This word occurs only in 2 Cor 5:2 and Jude 1:6, where it is used of the spiritual (or resurrection) body. “The nature of their sin is stated to be ‘in like manner’ to that of the subsequent sins of Sodom and Gomorrha, Jude 1:7. “The time of their fall is given as having taken place ‘in the days of Noah’ (1 Pet 3:20. 2 Pet 2:7), though there may have been a prior fall which caused the end of ‘the world that then was’ (Gen 1:1,2. 2 Pet 3:6). “For this sin they are ‘reserved unto judgment’, 2Pe 2:4, and are ‘in prison’, 1Pet 3:19. 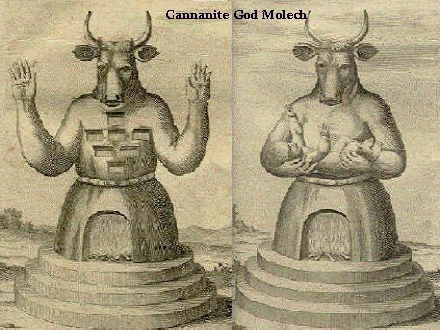 “Their progeny, called Nephilim (translated ‘giants’), were monsters of iniquity; and, being superhuman in size and character, had to be destroyed (see Appendix 25). This was the one and only object of the Flood. “Only Noah and his family had preserved their pedigree pure from Adam (Gen 6:9, see note). All the rest had become ‘corrupt’ (shachath) destroyed [as Adamites]. the only remedy was to destroy it (de facto), as it had become destroyed (de jure). (It is the same word in v. 17 as in vv. 11, 12.) See further under Appendix 25 on the Nephilim. “This irruption of fallen angels was Satan’s first attempt to prevent the coming of the Seed of the woman foretold in Gen 3:15. If this could be accomplished, God’s Word would have failed, and his own doom would be averted. THE NEPHILIM, OR ‘GIANTS’ Of Gen 6, &c.
“The progeny of the fallen angels with the daughters of Adam (see notes on Gen 6, and Appendix 23) are called in Gen 6, Ne-phil-im, which means fallen ones (from naphal, to fall). What these beings were can be gathered only from Scripture. They were evidently great in size, as well as great in wickedness. They were superhuman, abnormal beings; and their destruction was necessary for the preservation of the human race, and for the faithfulness of Jehovah’s Word (Ge 3:15). “This was why the Flood was brought ‘upon the world of the ungodly’ (2 Pet 2:5) as prophesied by Enoch (Jude 1:14). “But we read of the Nephilim again in Nu 13:33: ‘there we saw the Nephilim, the sons of Anak, which come of the Nephilim’. How, it may be asked, could this be, if they were all destroyed in the Flood? The answer is contained in Gen 6:4, where we read: ‘There were Nephilim in the earth in those days (i.e. in the days of Noah); and also AFTER THAT, when the sons of God came in unto the daughters of men, and they bare children to them, the same became [the] mighty men (Heb. gibbor, the heroes) which were of old, men of renown’ (lit. men of the name, i.e. who got a name and were renowned for their ungodliness). “So that ‘after that’, i.e. after the Flood, there was a second irruption of these fallen angels, evidently smaller in number and more limited in area, for they were for the most part confined to Canaan, and were in fact known as ‘the nations of Canaan’. It was for the destruction of these, that the sword of Israel was necessary, as the Flood had been before. “As to the date of this second irruption, it was evidently soon after it became known that the seed was to come through Abraham; for, when he came out from Haran (Gen 12:6) and entered Canaan, the significant fact is stated: ‘The Canaanite was then (i.e. already) in the land.’ And in Gen 14:5 they were already known as ‘Raphain’ and Emim’, and had established themselves at Asteroth Karnaim and Shaven Kiriathaim. “In chapter 15:18-21 they are enumerated and named among Canaanite Peoples: ‘Kenites, and the Kenizzites, and the Kadmonites, and the Hittites, and the Perizzites, and the Rephaims, and the Amorites, and the Girgashites, and the Jebusites’ (Gen 15:19-21; cp. Exodus 3:8,17; 23:23. Deut 7; 20:17. Joshua 12:8). “These were to be cut off, and driven out, and utterly destroyed (Deut 20:17. Jos 3:10). But Israel failed in this (Joshua 13:13; 15:63; 16:10; 17:18. Judges 1:19,20,28,29,30-36; 2:1-5; 3:1-7); and we known not how many got away to other countries to escape the general destruction. If this were recognized it would go far to solve many problems connected with Anthropology. “As to their other names, they were called Anakim, from Anak which came of the Nephilim (Num 13:23), and Rephaim, from Rapha, another notable one among them. From Deut 2:10, they were known by some as Emim, and Horim, and Zamzummim (v. 20, 21) and Avim, &c.
“As Rephaim they were well known, and are often mentioned: but, unfortunately, instead of this, their proper name, being preserved, it is variously translated as ‘dead’, ‘deceased’, or ‘giants’. These Rephaim are to have no resurrection. This fact is stated in Isa 26:14 (where the proper name is rendered ‘deceased,’ and v. 19, where it is rendered ‘the dead’). It is rendered ‘dead’ seven times (Job 26:5. Ps 88:10. Pr 2:18; 9:18; 21:16. Isa 14:8; 26:19). It is rendered ‘deceased’ in Isa 26:14. “It is retained as a proper name ‘Rephaim’ ten times (two being in the margin). Gen 14:5; 15:20. 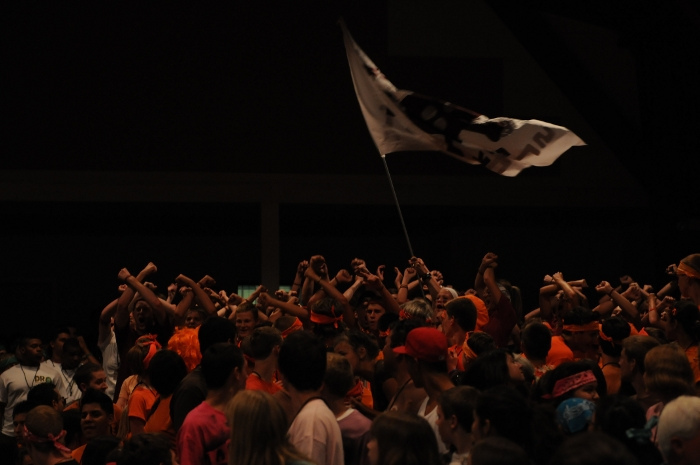 Joshua 12:15 (marg.). 2 Sam 5:18,22; 23:13.& b31 nbsp; 1Chron 11:15; 14:9; 20:4 (marg.). Isa 17:5. In all other places it is rendered ‘giants’, Gen 6:4; Num 23:30, where it is Nephilim; and Job 16:14, where it is gibbor (Appendix 14. iv). By reading all these passages the Bible student may know all that can be known about these beings. “It is certain that the second irruption took place before Gen 14, for there the Rephaim were mixed up with the five nations or peoples, which included Sodom and Gomorrha, and were defeated by the four kings under Chedorlaomer. Their principal locality was evidently ‘Ashtaroth Karnaim’; while the Emim were in the plain of Kiriathaim (Ge 14:5). “Anak was a noted descendant of the Nephilim; and Rapha was another, giving their names respectively to different clans. Anak’s father was Arba, the original builder of Hebron (Gen 35:27. Joshua 15:13; 21:11); and this Palestine branch of the Anakim was not called Arbahim after him, but Anakim after Anak. They were great, mighty, and tall (Deut 2:10,11,21,22,23; 9:2), evidently inspiring the ten spies with great fear (Num 13:33). Og king of Bashan is described in Deut 3:11. “Their strength is seen in ‘the giant cities of Bashan’ today; and we know not how far they may have been utilized by Egypt in the construction of buildings, which is still an unsolved problem. Arba was rebuilt by the Khabiri or confederates seven years before Zoan was built by the Egyptian Pharoahs of the nineteenth dynasty. See note on Num 13:22. “Moreover, we have in these mighty men, the ‘men of renown,’ the explanation of the origin of the Greek mythology. That mythology was no mere invention of the human brain, but it grew out of the traditions, and memories, and legends of the doings of that mighty race of beings; and was gradually evolved out of the ‘heroes’ of Gen 6:4. The fact that they were supernatural in their origin formed an easy step to their being regarded as the demi-gods of the Greeks. Why would the MacArthur Study Bible conceal the demonic identity of the giants in Genesis 6:4 and Numbers 13:33? The ancient deluge was a global cataclysm and the memory of this epic event has never been lost on the pagan world, which views the God who judged the corrupted race as an evil demiurge. The great flood is, in fact, the unstated theme of all pagan mythology. Its memory is kept alive by demonic entities who communicate to their initiates the desire of the pre-flood gods of ancient Atlantis to avenge themselves. This secret doctrine—of the lost Atlantis—is then communicated to the pagan subculture by means of initiation rites, mythology, symbolism, kabbalah, numerology, alchemy, astrology, magick and other occult so-called arts and sciences. Thus the pagan mysteries and agenda are carefully concealed from the uninitiated, who are then misled with false interpretations of Scripture, including the fallen angels, and just about everything else. Whether or not former CIA director William Casey made the following statement in 1981, it describes the superfluity of lies and shortage of truth communicated to the American public. “Sun-worship, as the ancient religion of Atlantis, underlies all the superstitions of the colonies of that country. According to Tracy Twyman, editor of Dagobert’s Revenge, the ancient pre-flood gods are “dead but dreaming”—that is, dreaming of their glorious return to reclaim their earthly kingdom. The former Satanist also warns about “Harvest festivals” in churches on Halloween, whereby change agents have brought their pagan feasts into the churches without being detected.